Between 1971 and 1974 Carly Simon released her first four solo albums. 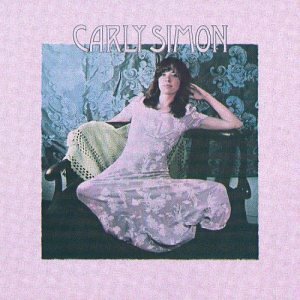 Drawing on three different producers (Richard Perry handled the last two records) and some top-shelf session musicians, Carly kept the hits coming, as well as deep cuts that are often as good as—or better than—the singles. Serviceable standard CDs of these early works have been around for a while, but they lack atmosphere. 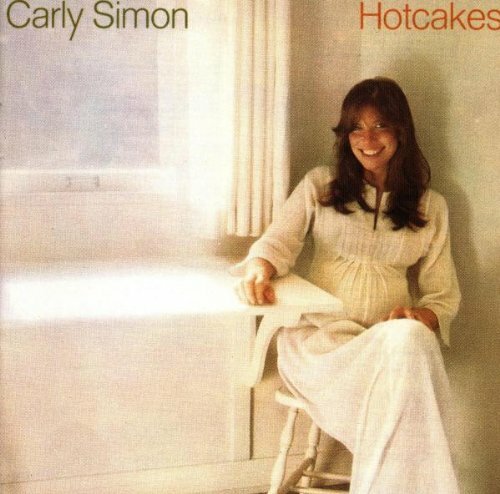 Fortunately, Mobile Fidelity has recently reissued these albums—Carly Simon, Anticipation, No Secrets, and Hotcakes—on SACD. The wider soundstage on these discs brings clarity to the background and more vitality to the instruments. The backing players’ personalities stand out more, and Carly’s stunning, expressive contralto voice sounds even more present. The single that signaled Carly Simon’s arrival, “That’s the Way I’ve Always Heard It Should Be” is a gut-punch of a song, a somber questioning of the wisdom of marrying young—or at all—in light of the troubled marriages she has observed. “The Best Thing” is an affecting meditation with a sighing steel guitar. “One More Time” is the only real letdown: it’s too folksy and lyrically bland, and Carly overdoes the twang. “Dan, My Fling” regrets a love walked away from, and even with a cluttered arrangement and mix, her voice has room to bloom here. On the other hand, the bass guitar is more prominent than in the standard CD pressing, and the hyperactive playing gets rather annoying in the middle group of songs. The album’s understated gem is “Reunions,” and its nostalgia reminds me of another Simon—Garfunkel’s partner. “The Love’s Still Growing” is a tempered piece of post-hippie optimism with an Eastern influence and a tinge of psychedelia. On Anticipation, also from 1971, Simon already sounds even more musical and confident; the mixing is smoother, and the mood is mellower. 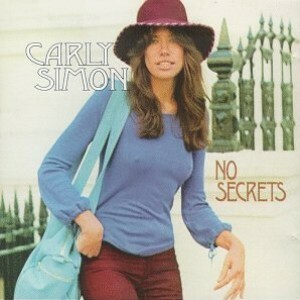 Thoughtful and gentle, it’s the Carly Simon album that won me over the most. The title track was its biggest hit—she wrote it in 15 minutes while waiting on Cat Stevens to pick her up for a date. “Legend in Your Own Time” was the next song to chart, a tribute to James Taylor that sounds rather time-bound. From there, things are mostly down-tempo but still compelling. Simon may have lived on the Easy Listening and Pop charts, but her songs—even the still-girlish ones about flings and crushes—are miles ahead of a hundred other forgettable hits. “Our First Day Together” and “The Garden” have striking guitar work, and the latter is ravishing and utterly poetic. The samba approach on “Summer’s Coming Around Again” is a deft touch. Overall, the sibilants are a little hissy, but that’s less noticeable than on previous reissues. The only serious sonic competition for No Secrets is an out-of-print 24k gold CD from Audio Fidelity. The sound there is vibrant and natural if a little bright on top, so MoFi wins by a nose. This album has the mega-hit “You’re So Vain,” and it still holds up after all these years. Simon wisely didn’t over-sing the cleverness, and the subjects of the verses are characters, not caricatures. “The Carter Family,” a brilliant examination of immaturity from the viewpoint of someone who grew out of it, shows off her emotional range. I’ve always been fond of the awkwardly-titled “His Friends are More than Fond of Robin” for its warm portrait of a good person. “Embrace Me, You Child” is a wonderful tribute to her father (who was, incidentally, the first half of Simon & Schuster). Hotcakes is my least favorite of these albums: the songs drift toward sappiness and solipsism. “Safe and Sound” is the best: the verses are a bizarre but amusing list of ways the world is falling apart—lobsters dancing on the docks in Maine, dope undermining the morale of the Buckingham guards—while the chorus asserts, “If through all the madness / We can stick together / We’re safe and sound.” There are good moments in the vulnerable chorus and poignant chromatic notes of “Just Not True,” but “Mind on My Man” is mediocre soft rock. The noisy duet with James Taylor, “Mockingbird,” is one of her bigger hits, but its appeal escapes me entirely. “Haven’t Got Time for the Pain” has an unsatisfying structure that the catchy chorus can’t redeem. There’s a strange engineering moment near the end where the equalization on the drums gets suddenly, randomly brighter, but that happens on the original LP and the CD releases and sounds even worse there. Longtime fans, charge ahead and get all four albums. If you’re not very familiar with Carly’s work, start with No Secrets and Anticipation; they’re even more rewarding to get to know now, thanks to Mobile Fidelity.